This is your Father you are dealing with, and he knows better than you what you need. With a God like this loving you, you can pray very simply. Panic is defined as sudden uncontrollable fear or anxiety. When you experience it, it makes you want to do something to solve whatever it is that is causing the panic. Very rarely is that action wise or right (unless it is getting you away from a dangerous physical situation and it gets you out of there). All kinds of things can cause panic to rise within you and when it does, I am going to ask you to wait. To go to God first instead of trying to immediately fix it. When you go to God with your panic, he knows what to do and what needs to be done. He knows how to calm your heartbeat and clear your mind. Because he is your Father and he knows you. He knows why it is happening and why you are responding to it that way. He also knows how to lead you down the right path, not just the first one that presents itself. He knows if there is a higher way, a better way or a healthier way to deal with it. Pause the panic and pray. It doesn’t have to be a long prayer to be a powerful one. Your Father in heaven loves you and knows what even a one word prayer like “help” means. Prayer trumps panic every time. What is causing you to panic right now? 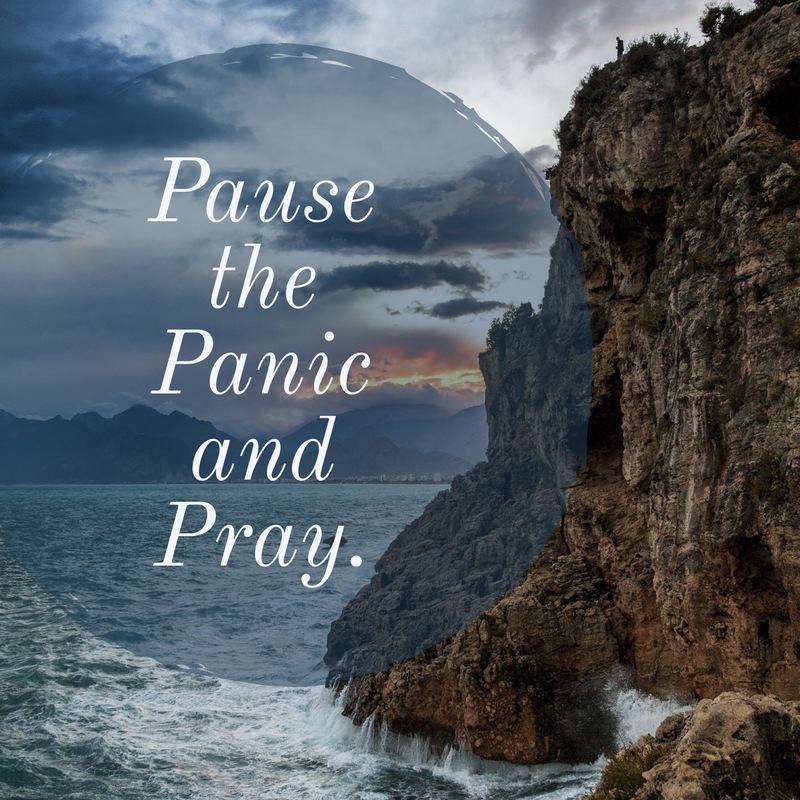 What does pausing the panic and praying instead of reacting look like to you? I love how putting God before my panic opens me up to a world of possibility. Because it is with God that I am always taken care of. And when I realized that I am here to serve this amazing God, no man, or situation could harm me. Giving God my worry and panic has allowed me to hear Him better and serve Him better.